The Clemson Tigers didn't exactly dine like kings when they visited the White House on Monday to celebrate their victory over the Alabama Crimson Tide in the College Football Playoff National Championship. Some fans were left puzzled earlier in the day when Trump told reporters he would provide "McDonald's, Wendy's and Burger King with some pizza" for the players in attendance, per CNN's Kaitlan Collins and Liz Stark. The Daily Beast's Timothy Burke noted the Tigers coaching staff may not have been happy with the meal given how seriously the program takes the diets of its players. Clemson hired a dedicated executive performance chef in 2017. Getting the championship invite to the White House is about much more than the food but if you do what Clemson did to Alabama you deserve fried chicken at least. CFA, Popeye’s, Bojangles’, whatever. 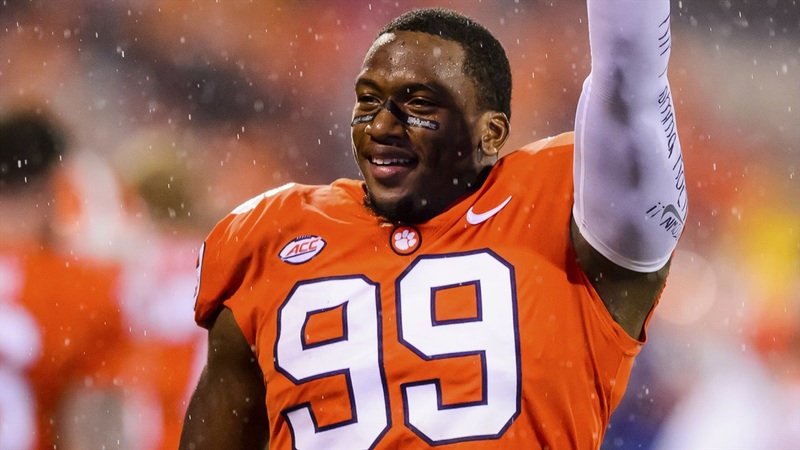 Safe to say, Clemson's first-class visit to the White House is in the transfer portal. Is it a violation of NCAA rules to feed Clemson a free McDonalds meal? Upon speaking to the assembled crowd, Trump made known his desire to represent Clemson quarterback Trevor Lawrence at the next level. "I want to be the agent of that tall, handsome quarterback," the president said, per Yahoo News' Hunter Walker. Lawrence threw for 347 yards and three touchdowns in the win over Alabama, and many expect the 6'6", 215-pounder to be a high pick in the 2021 draft, the first year he'll be eligible to head to the NFL. According to USA Today's Tom Schad, Trump also said Clemson "inspired America" with its national championship run. Since Ronald Reagan's presidency, the White House visit has been a staple for championship teams in both the professional and college realms. The tradition has become less regular during Trump's time in office. Los Angeles Lakers star LeBron James famously called Trump a "bum" when Trump rescinded an invitation to the Golden State Warriors to celebrate their 2016-17 NBA championship. Warriors star Stephen Curry had said he wasn't looking forward to a trip to the White House. Trump used a similar tactic in June with regard to the Philadelphia Eagles. He said in a statement the Eagles "disagree with their president because he insists that they proudly stand for the national anthem." According to ESPN.com's Don Van Natta Jr., "five or fewer" Eagles would've attended the event if it had gone on as planned. The World Series champion Boston Red Sox accepted an invitation from the White House in December after they defeated the Los Angeles Dodgers in the Fall Classic. The team has yet to lock down a date to travel to the nation's capital. The Red Sox might be having second thoughts after checking out Monday's spread.